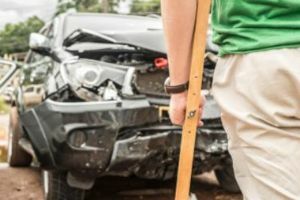 While you can’t foresee how, when and where accidents might happen, being mindful of personal injuries and their common causes can help you avoid them. There are millions of people suffering from accident injuries – and up to date, these have continually influenced the increasing number of fatalities and disabilities each year. While these are avoidable, injuries may still arise anytime while performing daily activities, running some errands and even while having a dinner out with some family and friends. In other words, accidents may occur when you actually least expect them. ● You notify the police in case the injuries are caused by road accidents. ● You inform the insurance company when injuries suffered are a result of traffic accidents. ● You seek immediate medical assistance as soon as you’ve become injured because it can be more dangerous. Remember to have yourself medically attended even if your injuries are minor. Also, don’t forget to secure a copy of the medical examination from the doctor so you can provide one when you go to court to recover compensation. ● Collect pieces of evidence regarding the accident and the resulting injuries. For example, make sure to take photographs of the accident scene. If there are witnesses nearby the area, take note of their names, addresses and contact information. Keep in mind, dealing with personal injuries can be financially, mentally and physically discouraging. Seeing the long-term consequences of these injuries as terrifying; the law affords protection to those whose lives have been hugely affected. When you’re injured, you may have the right to bring an action in court for recovery of damages. ● Car accidents: Car accidents cause most life-threatening injuries. Irresponsible driving behaviors are often to be blamed for a majority of car collisions. Drivers who are found to be speeding, distracted driving, drunk driving and other reckless actions are predisposed to getting involved in deadly car accidents. ● Medical Malpractice: While doctors and other medical practitioners are expected to provide a standard of care, medical malpractice might still happen when one acts negligently when performing medical duties such as prescription of drugs, conducting surgeries and making a diagnosis. ● Wrongful death: Negligence on the part of another person can cause wrongful death. These circumstances can be due to road accidents, serious cases of medical malpractice and nursing home abuse. ● Slips and falls: Personal injuries can be obtained even in public places. Whenever you are in grocery stores, malls, office buildings and retail establishments, you can be susceptible to getting slip and fall accidents. In almost all cases, these are generally caused by dangerous situations such as wet and slippery floors, and problems in lightings. ● Product defects: Consumers expect the products they purchase to be safe to use. However, circumstances arise when these merchandises have manufacturing defects that the buying public should watch out for. When defective products have caused you harm, you may be entitled to file a personal injury lawsuit against the person or entity responsible for the fault. ● Overexertion: Sports and recreational activities when overly exerted can cause severe personal injuries. These can happen in a variety of situations such as in job sites. When injured at work due to overexertion, you can try filing for workers’ compensation claims. ● Being trapped against an object: Injuries as a result of being stuck against an object can also be subject to legal actions. Examples of these include bicycle and pedestrian accidents, injuries suffered due to falling debris, not-so-good fixtures, and those arising on construction sites. We know that injuries are costly – and it would always be the right thing to do to understand your legal rights in these types of situations. While these are commonly called as “accidents,” personal injuries are those which are the results of someone else’s negligence – and by that fact alone, you may have the right to recover a considerable amount of compensation for all the damages sustained including medical expenses, lost earnings, and pain and suffering. You can successfully do this by suing the party who has wronged you. However, it’s essential to note that taking a legal action requires assistance from an experienced lawyer. When hiring one, make sure they can advise you on how you can take your action to recover the compensation which is rightfully yours. Blind spot accidents can increase your chances of getting seriously injured. If you’re in need of legal aid for your circumstances, you can click here for additional information.